Our Rock Wall is officially open! 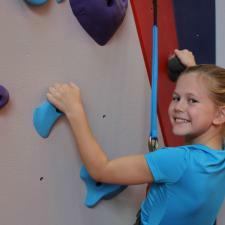 Come climb with us during open gym Friday and Saturday evenings 7:15 - 8:45. Register through your parent portal or contact the front desk! We are also available for classes and birthday parties. Come ROCK with us!